For Dustin Johnson US Open preparations couldn’t have gone any smoother. His six-stroke victory at the FedEx St. Jude Classic not only brought about a return to top spot in the official golf world rankings, but also saw him become the 2018 US Open favourite. Johnson is 8/1 in the US Open outright betting and this seems more than justified. Having holed out for eagle from 170 yards on the 18th at TPB Southwind in Memphis, the 33-year-old secured a second wide-margin victory of the season. He previously won the Sentry Tournament of Champions by eight shots in January. This makes him just the third player since 2007 to win multiple PGA Tour events in the same season by six shots or more – following Tiger Woods and Jason Day. The victory also ensured that Johnson joined Woods on 18 PGA Tour victories since 2008. No other player has triumphed more frequently in the last decade. His next opportunity to join Woods comes at Shinnecock Hills at the second major of the season. 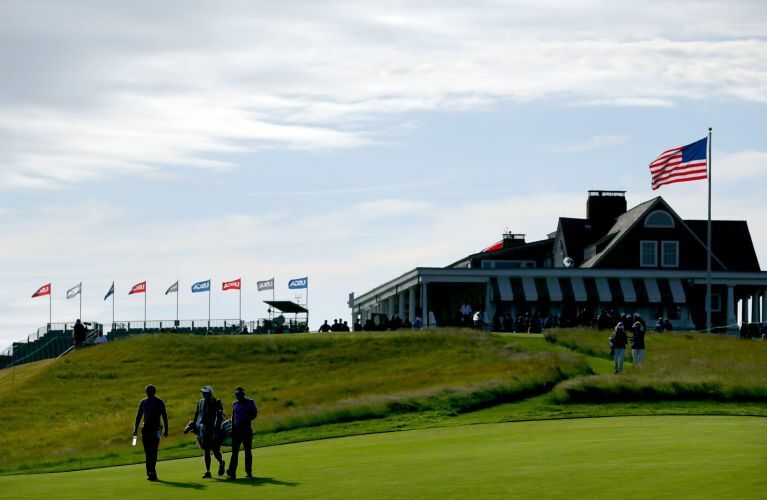 There have only been three instances of the world number one winning the US Open since the rankings began in 1986 and all of these victors were named Tiger Woods (2000, 2002 and 2008). However, a leaderboard-topping performance at this US Open would additionally allow Johnson to accomplish something that neither Woods, nor anybody else in golf history has managed. Nobody has followed up with a US Open success in the week directly after another PGA Tour win. Will the Florida resident make history at Shinnecock Hills? Alongside the fact he arrives in peak form, Johnson does have a history of building winning streaks. Having won the 2016 US Open, he repeated the feat the next week in the WGC Bridgestone Invitational. He then won three in a row last year ahead of the Masters, before falling down some stairs on the eve of the major and injuring his back. What’s more, the average world ranking of the last seven US Open winners is 12.1, which is the lowest across the four majors in this period. Johnson is somewhat of a US Open specialist, having finished joint-fourth or higher in three of the last four editions. He excels at links courses and should enjoy the poa annua greens more than most. It’s hard to bet against him being the 2018 US Open winner.